Want to review my blog? I’d love to know if you have visited my blog, even if you don’t find any particular post you want to comment on right now. I would also love some general (or even specific) feedback on my blog page, and/or the content, from anyone who wants to take the time. Let me know you’ve been here, and what you think, in a comment below. I’d appreciate it! Please leave a link to your blog page page, or links to your most loved blog posts, so I can visit you in return. Perhaps others who see your link here will want to visit you too! PS. You will notice a few (4 right now) “sticky” posts at the top of my blog page, which don’t change. If you have read those already, just scroll down the page a bit for the most recent entries, which are updated fairly frequently…thanks! Hi Ann, I was referred to your blog and instantly found it appealing with your posts on life. At the moment I’m going through a major life crisis with my mum so I could relate to some of your posts. For me now life is about living in the now and making the most of each day, as we never know what’s around the corner. If you like you can read some of my stories on outanabout.wordpress.com/ Thanks for a great blog and for giving us words to inspire and stories of faith. Thanks so much for your encouraging comments. I’m so glad you are here. So sorry about your Mom. I do know something of how it feels, though my Mom is still here as of this date. I’m glad I got some time with here when I did. Thanks Ann. Nice to relate and to share the journey. I found your blog from OM, and instantly followed it. It has a calming presence and I am very eager to see what you blog about next. 🙂 Also, the pug is fabulous! Hello Ann, I am enjoying your blog. Keep it up. I got to your blog from OM’s MnG and I instantly loved it. Having a personal blog myself I tend to be drawn to other personal blogs and I learn so much from reading other people’s personal experiences. Thank you for visiting my blog,reading and commenting. Like to every other blogger, it means a lot. And this is an awesome idea. I’m glad you have enjoyed your visit here. I’ve really appreciated meeting you and reading some of your posts. This is it and you just signed in. You can leave a comment, review, critique or whatever right here and a link to your own blog for others as well. Hi Ann, I seem to recall you mentioning your guest book and realized this morning that I neglected to sign it, what a great idea!! Have a wonderful day Ann! You’re welcome Ann, and thank you for inviting us to leave links to our blogs. Hi Ann, Autography book, huh? Did you have one of those dogs like I did too? I can’t wait to read more of your blog girlfriend. I had a little Lhasa Apso, who came to me when she was 13 years old….. 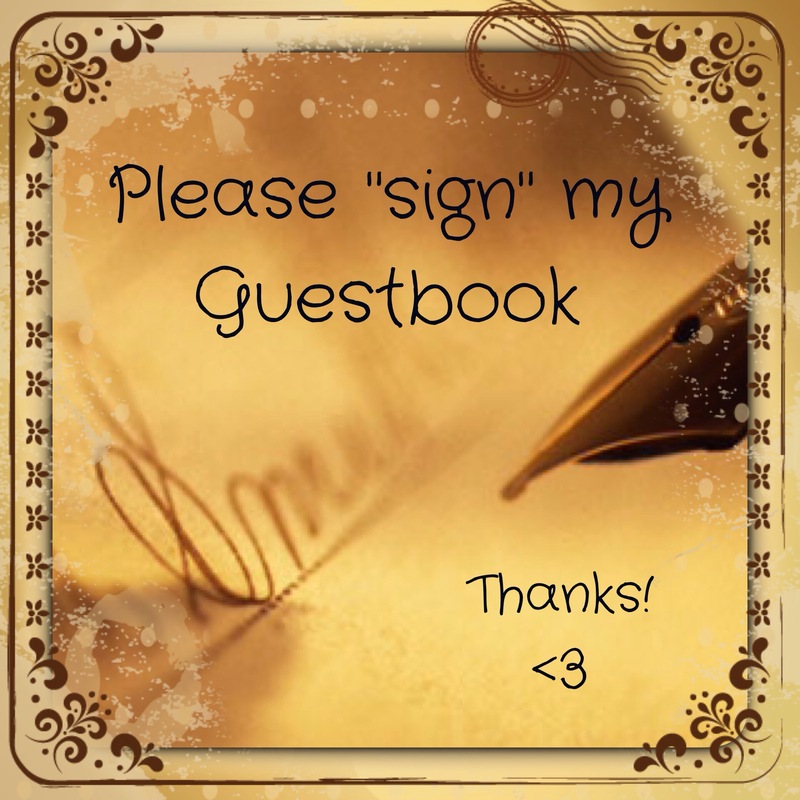 I am really enjoying your blog post and hope to get to know more about you…I like this “guest book” what a great way to meet new people .. Yes and with your help so I thank you..
Y’all need to visit this very popular blogger, if you don’t already know him, and learn from all the helpful hints on his posts. Join his Meet and Greet to meet up with many other bloggers too. I went to your site, and you are doing some pretty special stuff there. Don't forget to leave a link here for people to connect…..
Ann, still following, though I haven’t comment much lately. Thank you for the reminder – I’ll remember to comment more; I know it’s encouraging. Everything takes time, and we only have so much of it…. I often read without commenting too. It’s good to leave a link to your blog so someone else can have easy access. This has given me a much needed “lift” this morning. I hope you have a great rest of your day Ann! My “dinger” has been dinging off the hook since you posted this! What a great idea. http://www.annetterochelleaben.wordpress.com is where YOU are invited to visit! Great idea, love the blog! Hi, thanks for hosting a meet and greet. Very charming idea😊. I’m going to check out your blog! OM sent me! Thanks so much for the encouragement. It is always very much appreciated. I think this is a really neat idea you came up with for checking out blogs! Hi Ann! I’m Nicole. Great to meet you & great blog! My blog site is beyondthegarden.net Have a wonderful day! Lovely to meet you also. Glad you enjoyed your visit. Thanks for leaving your link so I can check out your blog too! Can you place your blog here in link form too? Or may I? Ann, I commented on your “about” page but didn’t realize you had a guest book! Great idea — and I see it paid off 🙂 I believe I learned of your blog when you visited mine, but if you don’t remember, it’s https://myworldwithwords.com. P.S. I mentioned it before, but the picture of your pup looks so exactly like a co-worker of mine. I smile every time I see it! Thanks for leaving your link. I will go check it out again when I get home later tonight…. Thanks for checking out my blog. I’ve been blogging for more than a year now, and it’s funny how it’s evolved. I’m taking a hard look at where I want to go next with it. Okay, a medium soft look. But one of the great pleasures of blogging has been all the people I’ve “met” along the way! I often wish WordPress had a proper chat feature. I think it would help bloggers a lot. I’m so glad I found your blog through StephJ’s party. I’ve enjoyed everything I’ve read here so far. And thank you so much for your visits to my blog and your comments. It really means a lot! You forgot to leave a link to your blog or a particular post you want to share here…….you can still do that, or I can do it for you? Please pick anything you like! Thanks for being you. I love the guestbook idea. Your site looks very colorful. I’m enjoying it. Thanks for stopping by, and for the encouragement. Glad you are enjoying your visit. Please leave a link to you site, or to one of your blog posts you want to share, so people can visit you too. I have a blog, too It is http://turtletoots.com . Thanks for visiting and for leaving your link here so that we can all find you! I appreciate you signing in here. Thanks! Thanks so much for taking the time to stop by and look around. It is much appreciated! I have not been as present here as in the past. I do need to get back into it. I checked out some of your blog and it was very pleasantly refreshing! Thanks for sharing. Could you post a link too, please? This entry was posted on January 14, 2016 by annj49 in Blog and tagged Guestbook.